15 AMAZING Necklaces To Make A Statement - All Under Rs 500! 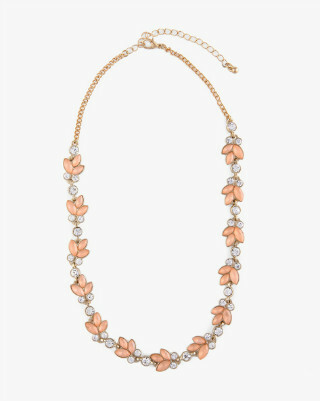 Statement necklaces go a long way in bringing any outfit to life and always make you look gorgeous. But keeping up with the trend is a little expensive! 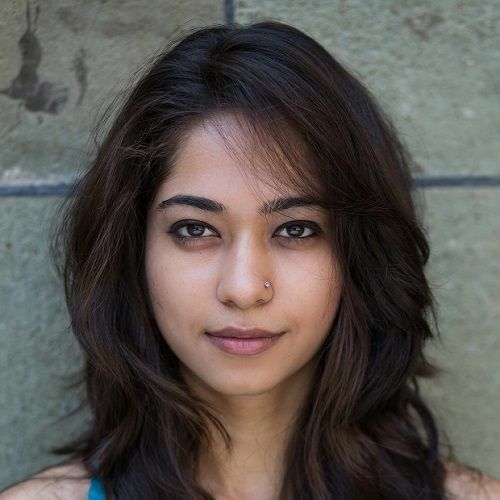 So here’s a list of necklaces, ALL under Rs 500, that won’t dig a hole in your pocket! 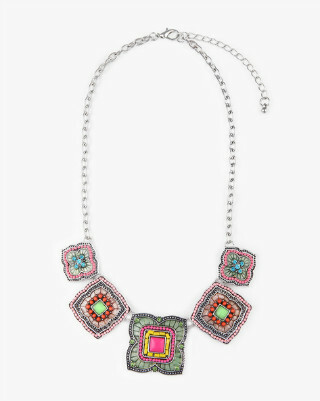 A geometric multicoloured neckpiece like this one will be your go-to item when you start working and want to brighten up your look just a little bit! 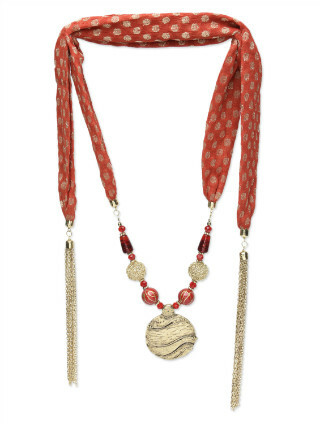 This brocade beaded scarf-necklace is LOVE! 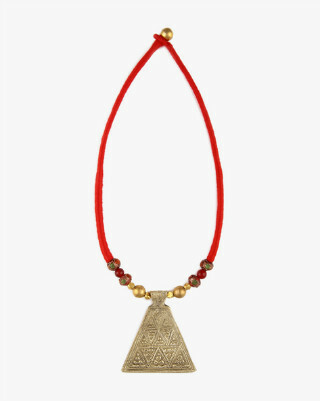 Wear it with an ethnic skirt and a plain top to complete the desi girl look. Price: Rs 449. Buy it here. 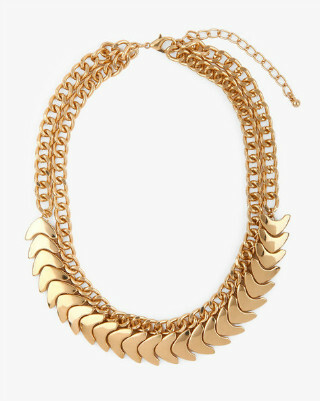 We love this bold and chunky golden neckpiece that can be worn for both a formal or a casual affair! Don't you adore it too?! Price: Rs 350. Buy it here. Your shirt doesn’t need a collar when you’re wearing once on your neck! Wear it with a plain t-shirt for a casual look or pair it with a formal shirt for the fashionable corporate look. Price: Rs 300. Buy it here. 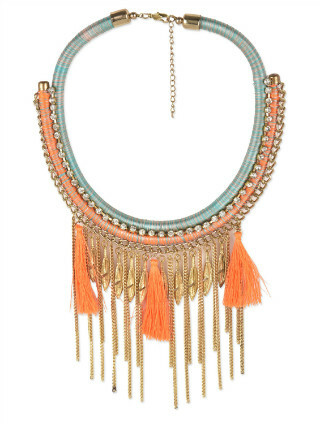 This fashionable neon tassel necklace is a must-have this season. It’ll add the a glam quotient to your look with minimum effort! Price: Rs 495. Buy it here. 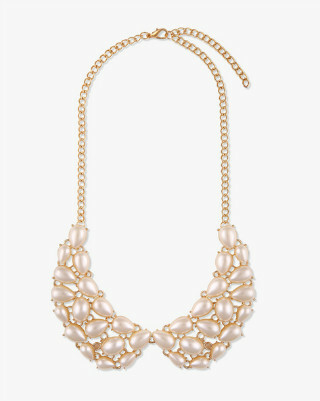 This stone studded necklace is so graceful and we just totally love it! It’s the perfect pick for someone who likes the minimalistic look. Price: Rs 499. Buy it here. This floral geometric design is the perfect mix of style and tradition. Wear it with a western attire for an Indo-western look and you're sure to look totally fabulous! Black and golden is the classic combination for a formal look! 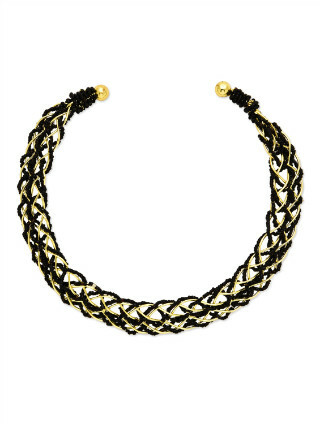 This choker will look great with a formal dress or a two piece suit. And for this price, it's a total steal! Price: Rs 419. Buy it here. 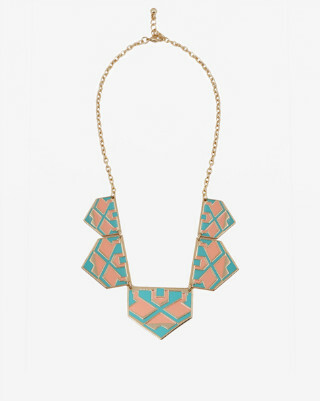 Colorful, trendy and chic, this necklace is a beautiful piece that you’ll love to wear! Team it with a cute summer dress to brighten up your outfit - and your day!! Price: Rs 399. Buy it here. 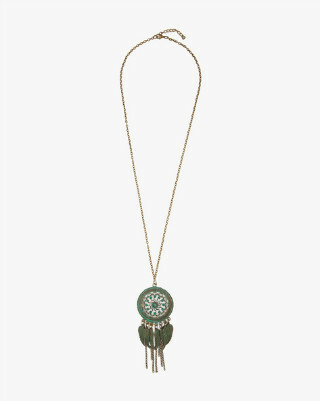 This metal and beady vintage dreamcatcher necklace is sure to take you back in time! You can wear it with any outfit you like since it looks great with just about everything! Price: Rs 275. Buy it here. 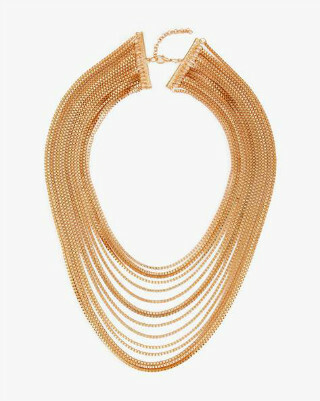 Be party ready with this golden chain layered necklace. This is just what your LBD needs! You'll be ready to dazzle as soon as you wear this one! Price: Rs 499. Buy it here. We love this handcrafted artistic centerpiece. It’s simple, elegant and yet so bold! Perfect for the more casual but still stylish days! 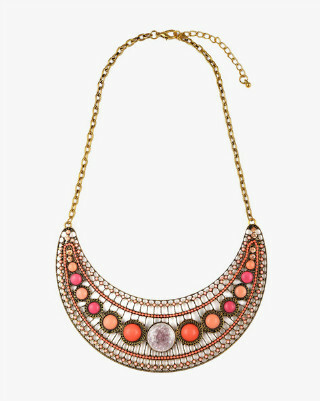 Studded with pink beads, this gorgeous necklace will make you look dressy and highlight your collar bones beautifully! It's straight out of a dream! Price: Rs 300. Buy it here. 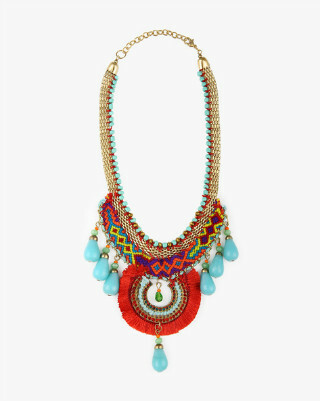 This colourful and traditional neckpiece will complete the boho look you’re trying to nail! Plus - those pretty blue beads! What more could a girl ask for?! Price: Rs 499. Buy it here. 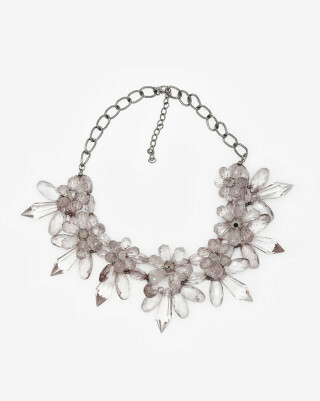 A must-have floral necklace made with glass beads to go with everything! Wear this beautiful design and look party-ready in absolutely no time! Price: Rs 400. Buy it here. Featured Image: Shutterstock A place where girls can talk about ANYTHING. (No guys allowed!) ? ? Get the POPxo app NOW on Play Store and iOS App Store.